Storytelling has always been a part of human history. From the first stories around a fire in a cave, to the CGI-heavy movies of today, man always enjoyed a good tale. Many times we wished a story had a different ending and even more times we wished we took part in the stories that intrigued us. Video games and tabletop games for the past 3 decades have given us this opportunity and allowed us to play our role in a story. For the past 3 decades many companies toyed with the idea of interactive storytelling and provided us with various products with a different approach each time. In the 1988 film Big starring Tom Hanks we see a kid playing a computer text adventure, an early form of interactive fiction. Later in the movie the kid comes up with the idea of interactive comic books where the reader decides the course of the story and the story advances by the push of buttons. As a kid I used to play with fighting fantasy gamebooks. In this early form of interactive fiction the reader would decide upon his actions and the book would sent him to a specific paragraph on a specific page of the book to advance the story. The choices of the reader were important to the story and they could lead to victory or death. 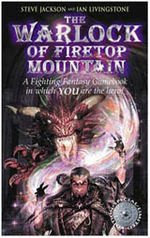 The books also provided a game system, a simplified version of tabletop RPG battle systems. It was an enjoyable experience where the reader was in charge of the decisions. A good attempt of interactive fiction, somewhat limited nowadays, but when they were first released they were revolutionary. These were similar to the choose your own adventure game books that were not limited to fantasy setting and have published hundreds of titles the last three decades. During the 80s and early 90s a very popular genre of computer games (and one that I particularly still enjoy) were the text adventures refered to, then and even now sometimes, as interactive fiction. Different software houses had a different approach on the subject with some paying more attention to the unfolding on the story, while other being more puzzle heavy. Irrespectively to the approach though, the player proceeded through the story by his/her own actions typing what he/she wanted to do with different effects. 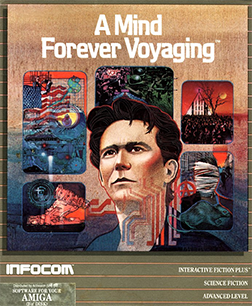 A Mind Forever Voyaging, a 1985 cyberpunk text adventure, best represents the term interactive fiction for the genre. It has limited puzzles for the player to solve but lets him be in charge of the story and allows him to enter a rich world that he will stay with him long after he left the computer screen. Truly equal to classic novels, but better in the sense that allows reader interactivity. You can read a review and download it legally from abandonia. Give it a try and you will not be disappointed. 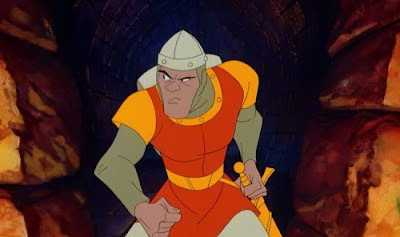 An equally successful representative of interactive fiction of the early 80s were the Lazerdisc games and Dragon's Lair in particular. Lazerdisc games had pre-recorded video sequences that were played back on the screen and allowed the player to interact by having him do something on particular points to perform an action, usually push a directional button. They were particularly popular back then, but provided little interactivity that was mostly limited to timed sequences that just allowed the user to proceed to the next scene or die. With the introduction of the DVD technology there was an unsuccessful attempt to revive the genre through interactive DVDs that played on normal disc players through the TV screen. During the mid 90s the term interactive movie was coined to describe some of the games of the era that included full motion video. Many game genres took advantage of the CD technology and various games were released and marketed as interactive movies. 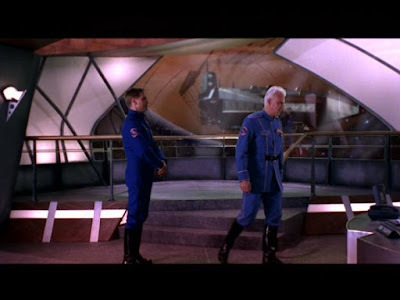 Most of them were good-old adventures or action games that heavily used full motion video with real actors such as Phantasmagoria or Wing Commander IV respectively. Other approaches included Rebel Assault an impressive (presentation-wise) but rather boring (gameplay-wise) approach to gaming with few interactive sequences thrown here and there to justify the term game. In 2005 Quantic Dream developed a innovative game, Fahrenheit (Indigo Prophecy in North America). The publisher Atari along with the developer marketed the game as an interactive film. Even the in-game menus had a similar structure and meaning with buttons, like start game, replaced by "play" and quit by "stop". The structure of the game itself, as well its presentation, was similar to that of a movie. The role of the user was not only limited into performing actions to advance the story but to decide on how the story would proceed. These where either conscious or unconscious decisions of the player. Most user actions would affect the story in one way or the other. The player has full control of the characters in-game and is responsible for solving simple puzzles. These though, are not the classic adventure game puzzles but rather, very well integrated with the world, character actions. For example the opening sequence of the game finds you committing a murder and a police officer is about to enter the scene. 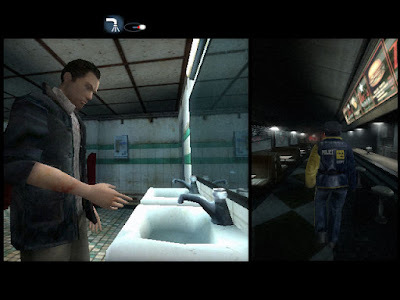 The player is responsible for leading the character to wash the blood off his hands, hide the body and the murder weapon and get the hell out of the crime scene. The player does what the character is supposed to do, or, what the player wishes him to do, everything with their own consequences. For example when I was playing the game, after the character committed the murder, I accidentally used a fork that was later found by the police and they took the character's fingerprints off it. It is a very impressing experience that is closer to interactive movie/fiction than anything else until now. Nothing is perfect though. My criticism on Fahrenheir is that It seems as if the developers after a point simply run out of ideas and were using the same formulas over and over. In addition, the scenario even though it was very promising at first, near the end became plain laughable (where the hell did this 80s AI come from? and other stuff that I do not want to say in case I spoil it for anyone). Overall though, a very impressive with fresh ideas. Quantic Dream is preparing the succesor of Fahrenheit, Heavy Rain. The upcoming title will have similar gameplay elements to that of Fahrenheit, with the player allowed even more interactivity. In addition, the game will incorporate a new technology that allows 3D characters inside the game to express emotions through complex facial expressions in real time without prerendered sequences. This will really push the boundaries of digital story telling, as it will free the developers to create complex characters that are able to express emotions that enhance the impact of the story to the player. The future for Interactive Fiction looks very promising. I am sure, though, that this exactly what people said twenty years ago. It was a good ride, the past 3 decades, with many exciting moments, each more exciting than the other. As the technology progresses and a new generation of developers is coming along, new things are going to be offered to us. I really do not know if there is an end to this ride and we will finally be able to say this is truly interactive fiction. I hope not, 'cause we will have nothing to look forward to in the future.